We bought one of these for our son for a Christmas present , Delivery was fast and quicker than expected. 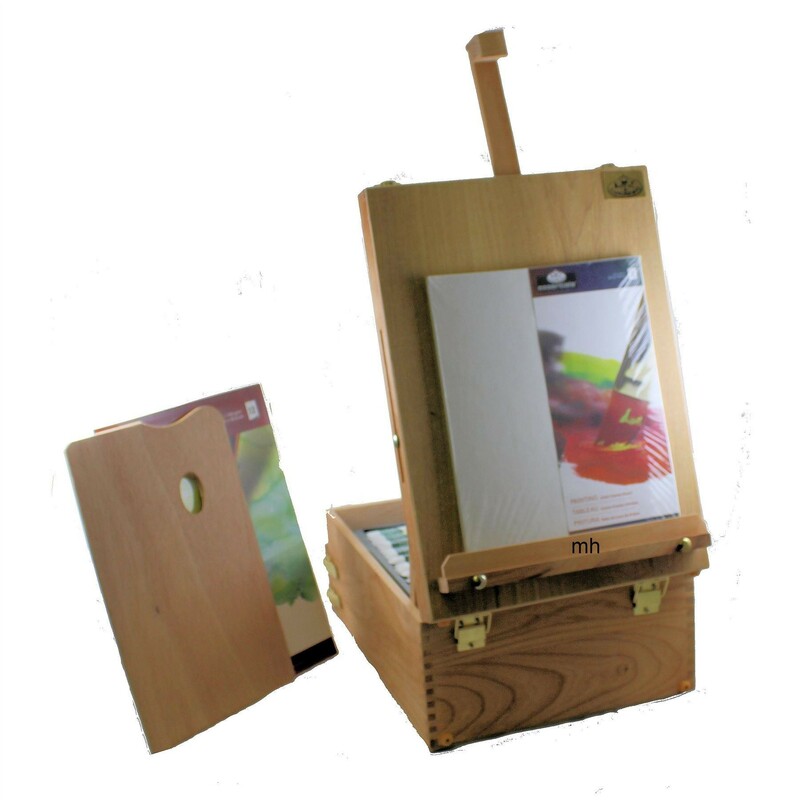 The price that local art shop are selling this for makes it a great deal for just the easel never mind all the paints and pads you get with it. Its easy once you've used the paints to take out the plastic holders and fill with your own paints and pencils. The only negative is that the quality of the supplies are OK - probably perfect for GSCE students. Having said that they are ideal to learn with and have a go at a media that you might not of tried before. I have a few new paintings handing on the wall already. I would recommend these as great presents. Which art products would you like to see more of...?